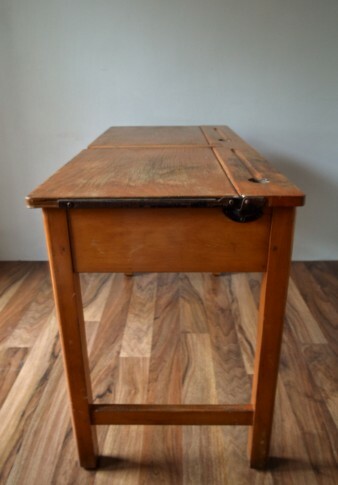 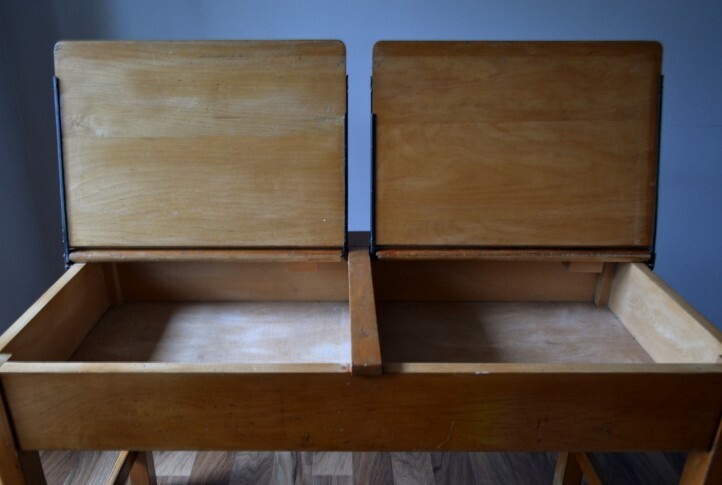 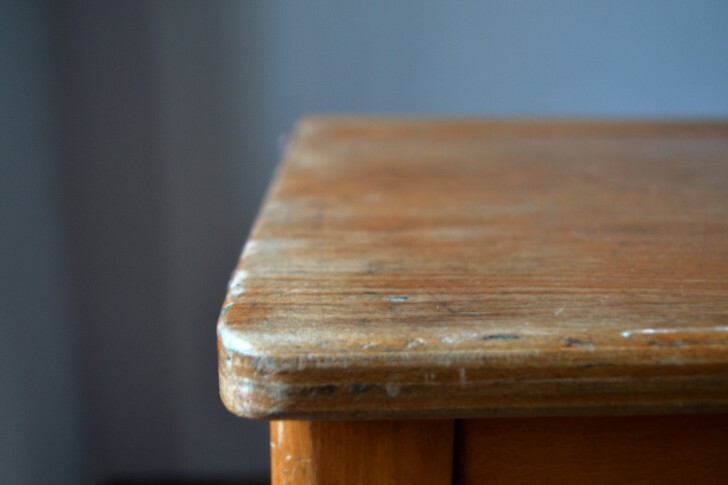 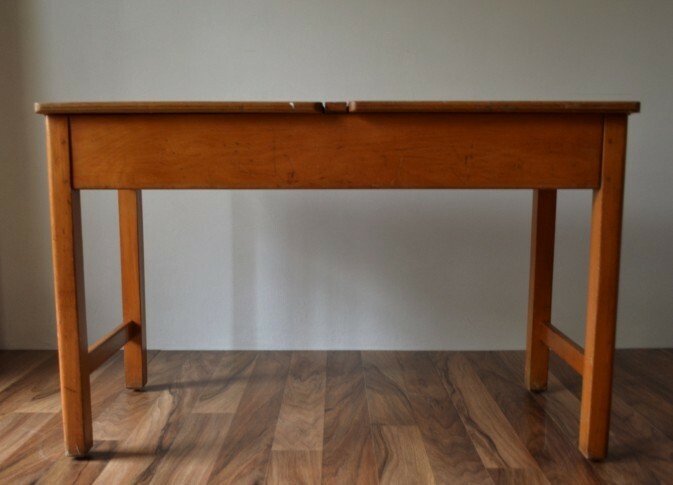 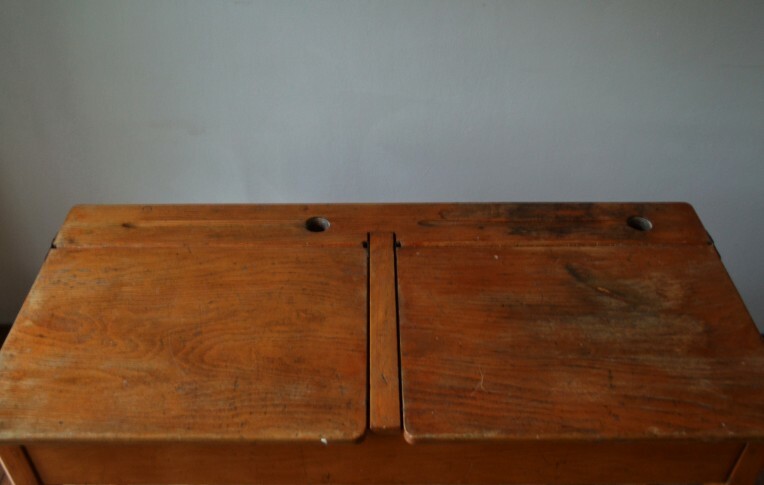 Vintage solid wooden double school desk in original condition with 2 ink holders and legs. 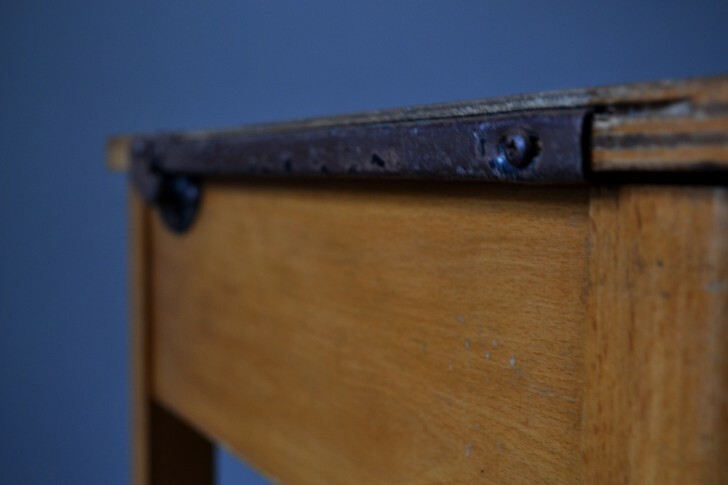 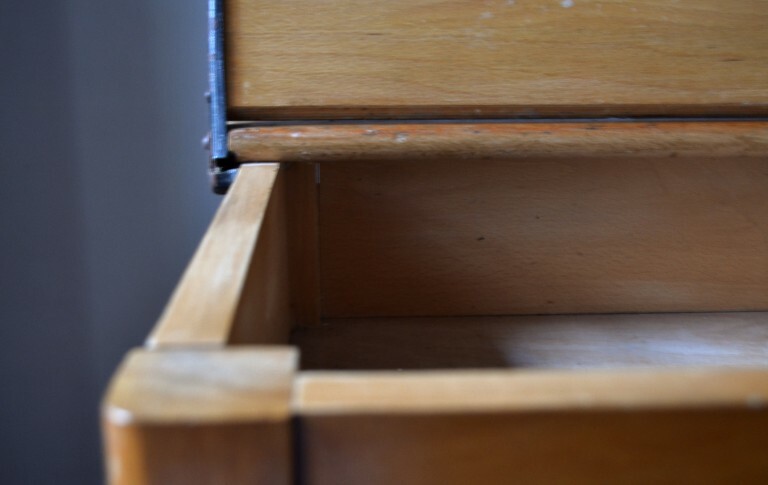 Considering its age, there is wear and scratches in places as you would expect. 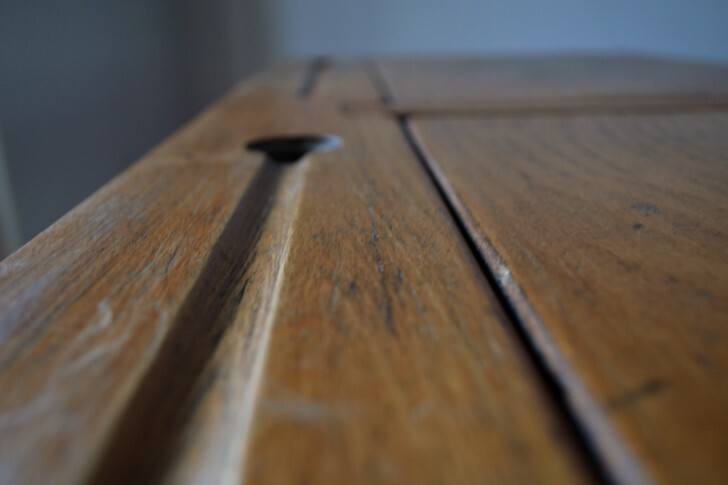 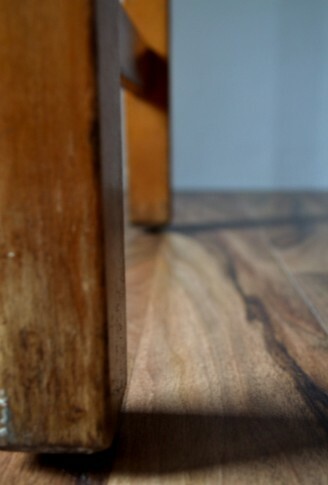 However these marks we believe, create character. 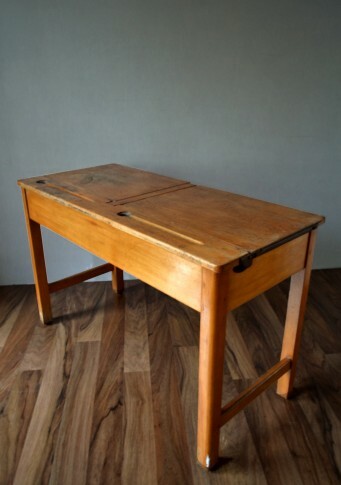 This vintage desk would make for a lovely drawing desk in a play area at home or children’s desk.